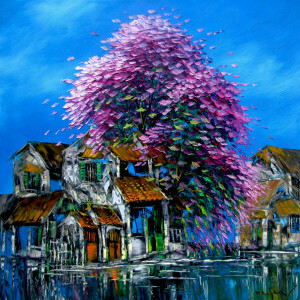 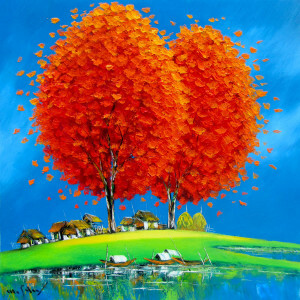 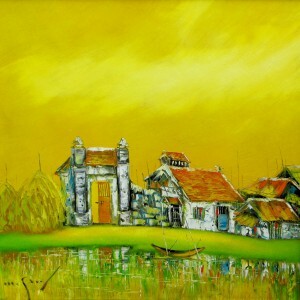 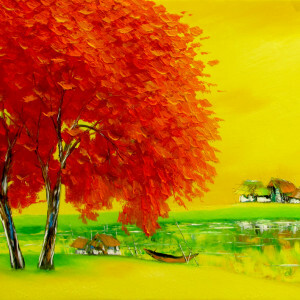 Done in the Impressionistic style of painting, this contemporary Asian painting in bright warm colors, has all the characteristics of Minh Son’s landscape painting. 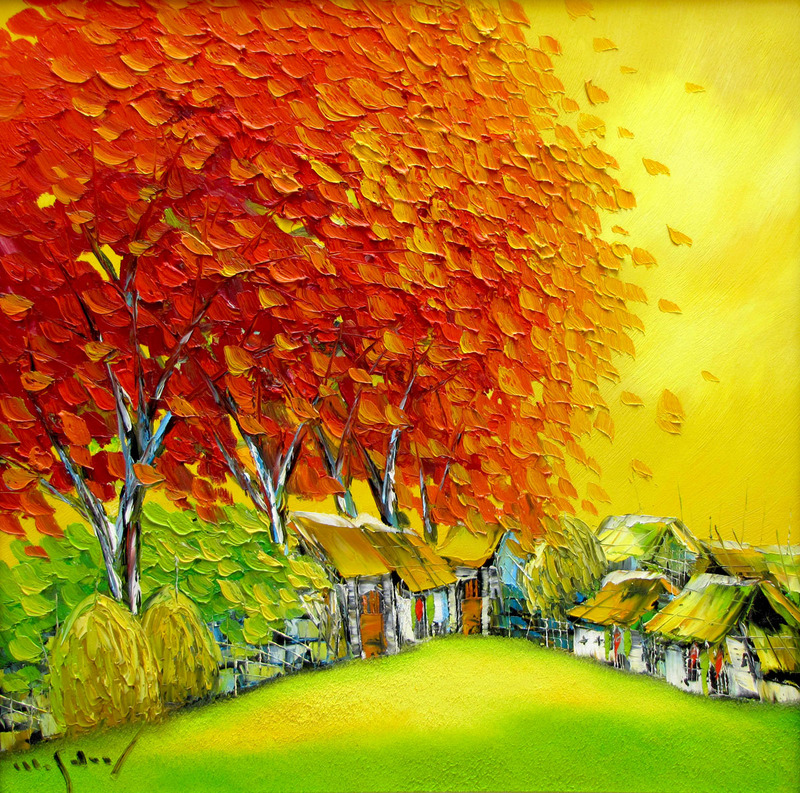 The large trees with gorgeous orange leaves in thick layers of paint are the highlight of the composition overlooking the modest hutments. 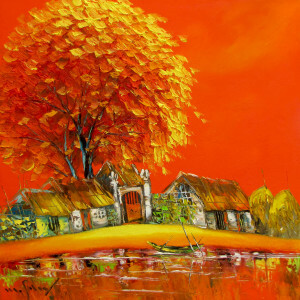 The warm color palette brings out the warm summer on the canvas effectively. 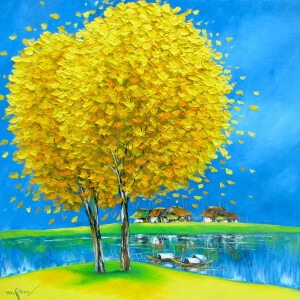 The painting you are interested in has already been sold. 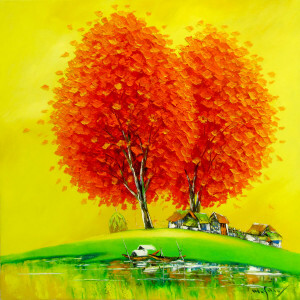 See "Commission" if you would like the artist to create a custom piece for you.